Each time its people move away, the little hall sits empty. Will its walls ever again ring with laughter, music, story and song? Then, one day, a little boy steps inside the hall… and feels the welcome of its wooden arms. Ia wā, wehe atu ai te iwi, ka tū tahanga te whare. Ka hoki mai anō ngā mahi katakata, ngā pūoro, ngā pūrakau, ngā waiata? ka rongo i te maioha o ngā poupou tauawhi. Winner Storylines Joy Cowley Award 2011. I first had the idea for Wooden Arms after the tragic events in the US on 11 September 2001. I wanted to write about how people are all the same: we all love music and laughter, family and friends, food and talk, and plans and dreams. The book is still about that, but is told through the eyes of a little hall, which watches the people come and go. Wooden Arms took a lot of writing for a picture book. I wrote the first version in 2006, and many more before it was published, six years later, in 2012. I was over the moon when the manuscript won the Joy Cowley Award in 2011, especially as part of the prize was working with Joy on the story to get it ready for publication. What an honour! 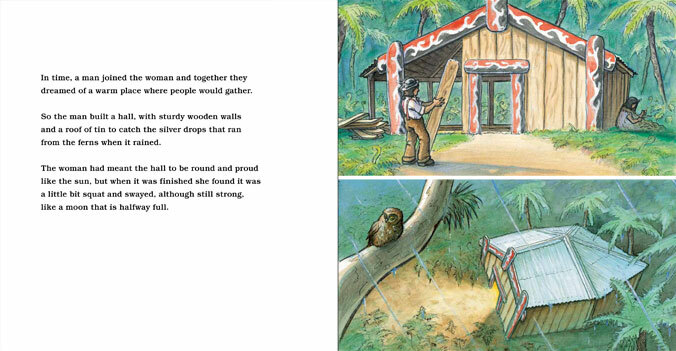 Other highlights have been seeing the illustrations by Scott Tulloch (that's when I fell in love with the book), finding out that the story was to be retold in te reo Maori by Ngaere Roberts (another honour), and the launch with Joy Cowley at the 2012 Storylines Festival. Now I feel strongly that it is no longer my story, it is all-of-our book, and that makes it even more special. I'd love to come and talk to you about Wooden Arms. Kids from year 1 to 3 will enjoy the story and Scott's fabulous artwork. And because the story is about lots of different people from lots of different countries, there's plenty to talk about. There are some fun activities that go with the book. You can make a cardboard model of the little hall, or colour in a scene from the story. 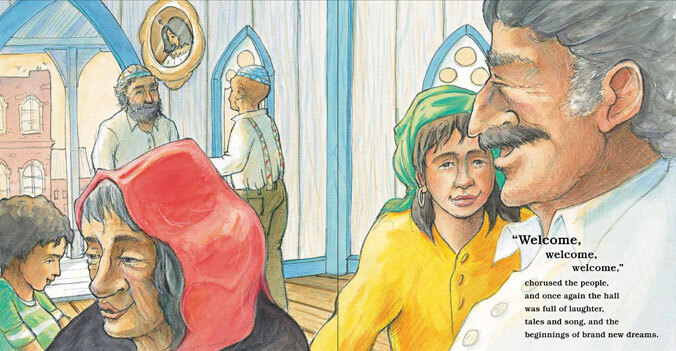 "This is a delightful story which encompasses the settlement of New Zealand, from the Maori and European to immigrants and then cities and more people from other countries who come to make a life in this country. The little hall with its wooden arms is surely a metaphor for the indigenous people of New Zealand and how they welcomed each wave of these newly arrived settlers. The little hall represents their generosity and warmth but it also is a part of every person's dream to have a special place for them and their family and the old adage home is where the heart is comes to mind. Wooden Arms is a real little gem and such a touching story, my compliments to author Sarah Johnson and also to Scott Tulloch for the charming illustrations. Definitely a must have book for children's bedtime stories." 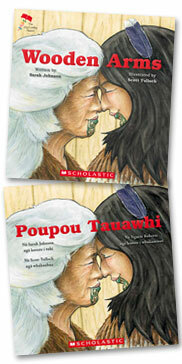 Published by Scholastic NZ (2012). 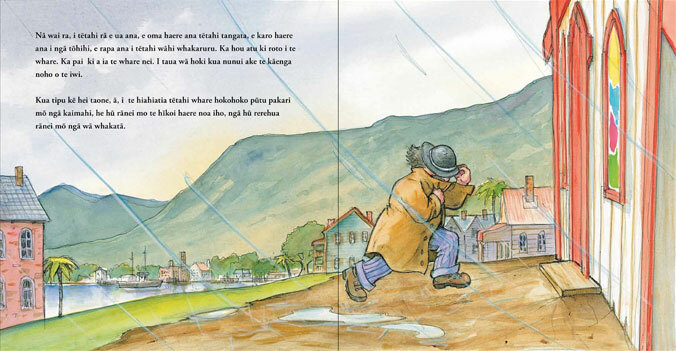 Retold in te reo Maori by Ngaere Roberts.